Cornell Center for Materials Research - The Cornell Center for Materials Research Announces the Spring 2012 JumpStart Awardees! Home⁄ About⁄ News⁄ The Cornell Center for Materials Research Announces the Spring 2012 JumpStart Awardees! 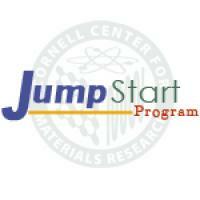 The Cornell Center for Materials Research Announces the Spring 2012 JumpStart Awardees! The Cornell Center for Materials Research JumpStart program, funded by Empire State Development’s Division of Science, Technology and Innovation (NYSTAR), is pleased to announce four exciting new partnerships between Cornell faculty members and New York State small businesses. The following is a brief description of these collaborations. Intrinsiq Materials Company, Rochester, NY will collaborate with Professor Chris Ober, Materials Science and Engineering, to investigate copper nano-particles in low cost print processable conductive inks for the electronics industry. NOHMs Technology, Inc., Ithaca, NY will collaborate with Professor Héctor Abruña, Chemistry and Chemical Biology, to study the efficiency and reliability of advanced electrode and electrolyte materials for the next-generation lithium-ion batteries. Rapid Cure Technologies, Inc., Syracuse, NY will collaborate with Professor Emmanuel Giannelis, Materials Science and Engineering, to transform a unique nanoparticle technology into a light curable primer coating for use on plastics that will reduce energy consumption and solvent emissions. Thalle Industries Inc., Briarcliff Manor, NY will collaborate with Professor Kenneth Hover, Civil and Environmental Engineering, to develop a manufactured sand blend yielding a workability desired by concrete producers and turning a waste product into a resource. Empire State Development’s Division of Science, Technology and Innovation (NYSTAR) supports collaborative industry/academic partnerships to foster integrated approaches for developing and commercializing innovative technologies. NYSTAR serves as a resource for small and start-up technology companies. The JumpStart program is designed to assist New York State small businesses develop and improve their products through university collaborations; the ultimate goal being revenue growth and job creation. JumpStart projects receive up to $5,000 in matching funds for project costs that include faculty and their research staff, facilities, services, supplies, and materials. Since its inception, forty-seven companies have benefited from this program. For more information on how to apply to the JumpStart program or how you can benefit from working with a Cornell materials expert, visit http://www.ccmr.cornell.edu/industry/ .To learn more about the CCMR and the shared facilities, visit http://www.ccmr.cornell.edu/.